Want to keep in the loop on the latest happenings at Chabad of the Space & Treasure Coasts. Subscribe to our mailing list below. We'll send you information that is fresh, relevant, and important to you and our local community. 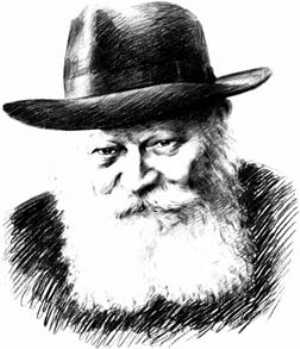 Guided by the leadership and inspiration of the Lubavitcher Rebbe, Rabbi Menachem M. Schneerson, Chabad Lubavitch has set the dictum of “Love thy fellow as thyself” as the defining factor in its approach of unconditional acceptance of all people regardless of their age, level of observance or affiliations. With close to 4,000 representatives directing educational, social and religious institutions in 86 countries, there isn’t a Jewish community in the world that has not been positively affected by its work. In this spirit, in 1990, the Rebbe appointed Rabbi Zvi & Shulamit Konikov, as his emissaries to the Space & Treasure Coasts. While Chabad Lubavitch is dedicated to the welfare of the Jewish people worldwide, each branch is financially independent and all funds are raised from the local community and applied towards local programs and services in the community. Click here for a brief timeline of Chabad of the Space & Treasure Coasts' activities and growth since it's inception over two decades ago.